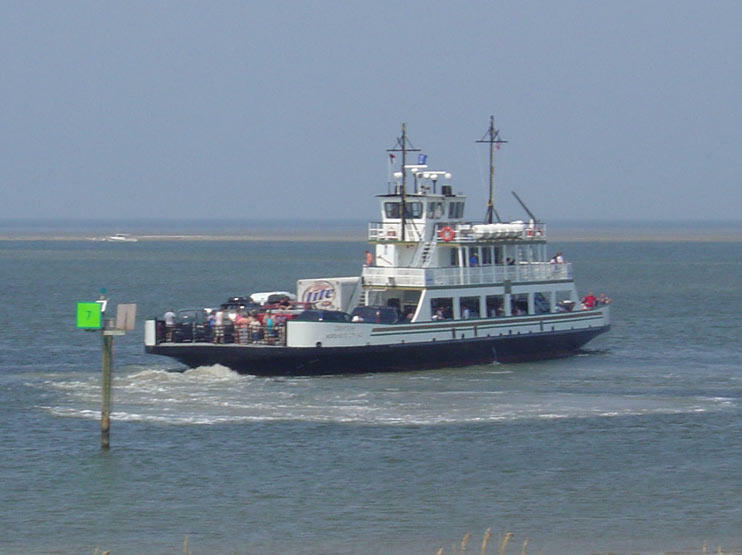 The Cedar Island-Ocracoke and Swan Quarter-Ocracoke ferry routes have returned to their regular published schedule, according to the North Carolina Ferry System. All vehicle size and weight restrictions have also been lifted. The announcement comes after the U.S. Army Corps of Engineers finished a month-long dredging project in Bigfoot Slough just outside of Ocracoke’s Silver Lake Harbor. The dredging began in March, after the ferry channel became too shallow for both the M/V Swan Quarter and the M/V Sea Level to pass through it. The Ferry Division reduced its schedules on Pamlico Sound routes until dredging was complete. The Hatteras-Ocracoke route remains on an adjusted schedule to accommodate emergency dredging operations at the northern end of Ocracoke.